Here is the latest teaser of the Prime 1 Studio Bane Statue. 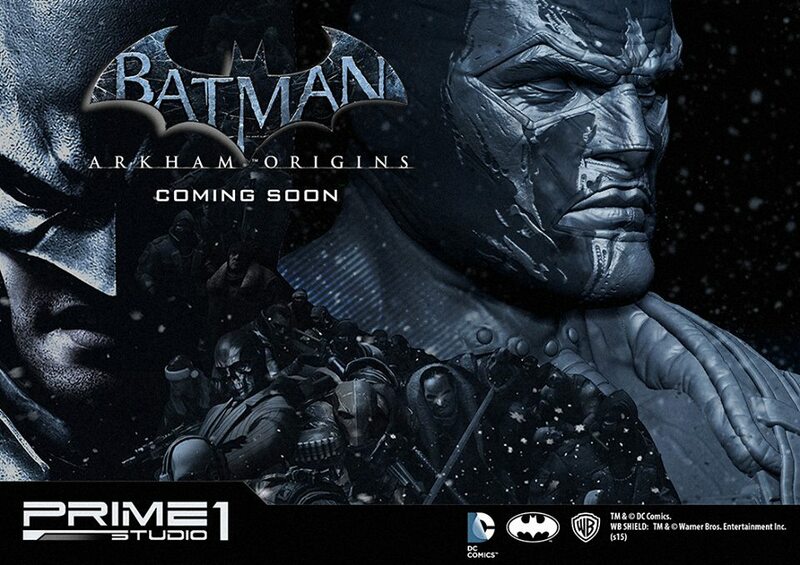 Prime 1 revealed that this Batman: Arkham Origins Statue will be part of their Museum Masterline 1/3 Scale Arkham Origins collection. This will stand at over 40″ tall, making it the biggest in the collection. Personally I would love Sideshow to work on a 1/4 comic book Premium Format or a 1/4 scale Tom Hardy, but it is great to finally see one on the big companies giving Bane some love. Here is also the Arkham Knight teaser.. With talks of a Joker and Harley Quinn any collector collecting this line will need a big display. ← Hulk (Green) by Sideshow Collectibles finally looking like it will be released! Haha I don’t have the space too, but they look amazing.